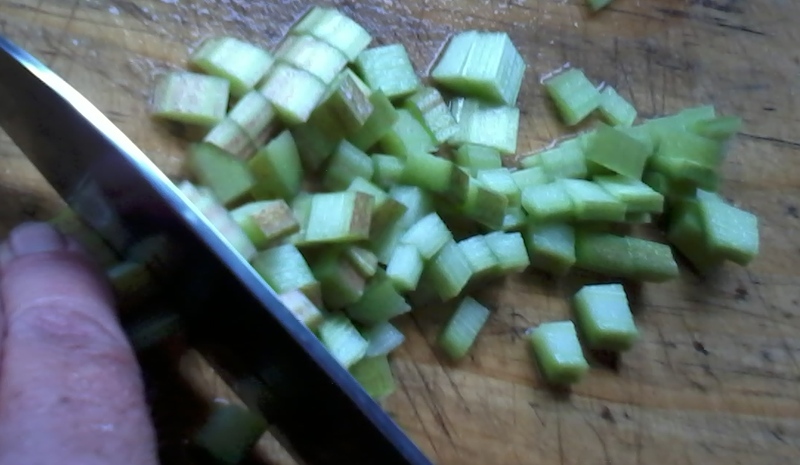 In our previous Homesteads, the likelihood of any kind of rhubarb dish becoming a menu staple was not high. Generally we’d receive a couple of meals, tops, from our straggly, sad looking plants if we were/weren’t lucky (depending on which of the power station chimneys you were on) and that was our lot. Here? 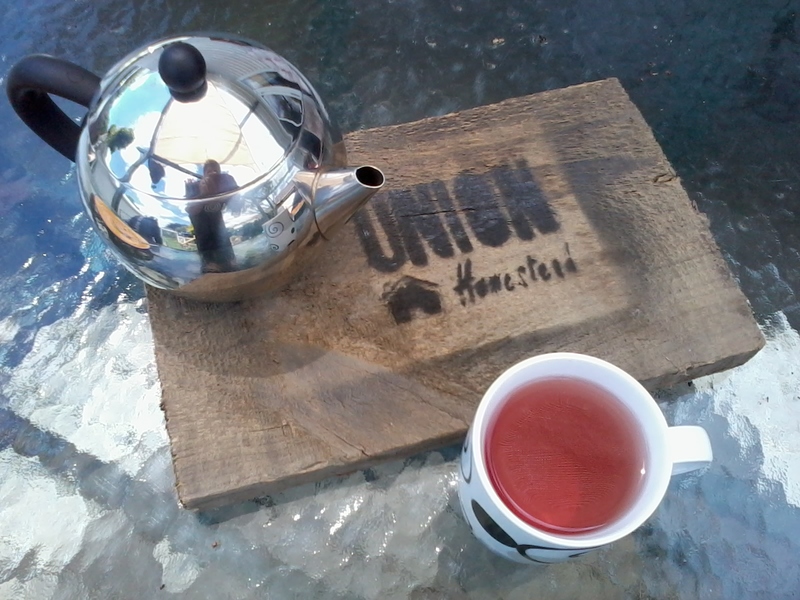 Oh, here at Union Homestead it’s a different story. 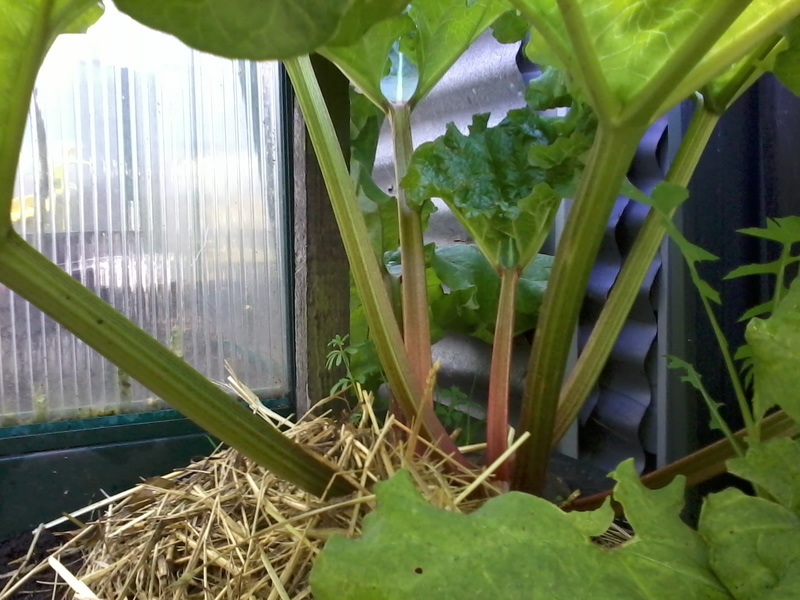 It may be the soil that makes our rhubarb such a vigorous grower, or the variety (the heirloom, Victoria) or maybe the fact that nearly all our scraps, scrapings and meal preparation trimmings (but ironically, not those of the rhubarb plant itself) go through either a chicken or goat before ending up in the compost we fling under the plants. As an aside, see how we said “plant” there? Apparently, it has managed to polarise even those tasked with the classification of the Rheum rhabarbarum. Technically a vegetable (a plant or part of a plant used as food) as opposed to a fruit (the sweet and fleshy product of a tree or other plant that contains seed and can be eaten as food), in the USA a 1947 New York court ruled in favour of it being lumped in with the apples, oranges and bananas on the basis of that being how people ate it. 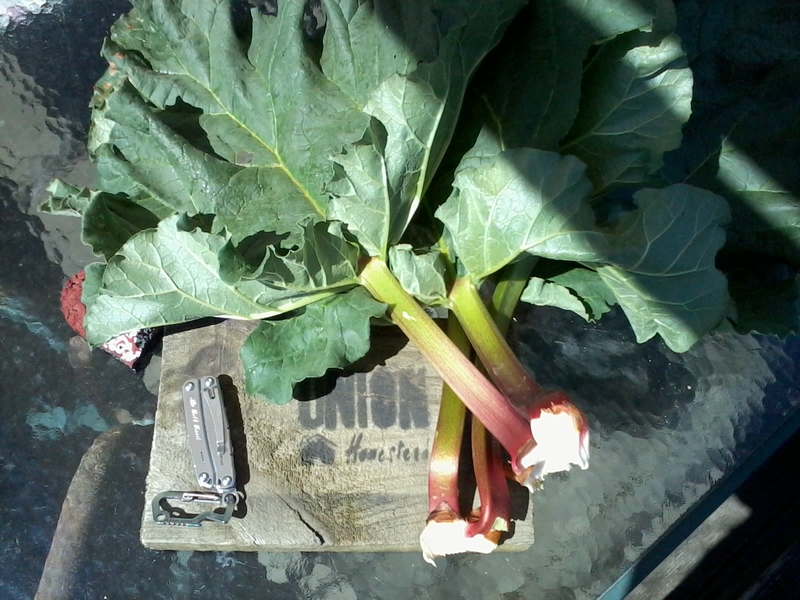 Fruit or Vegetable, it grows rather well here in our little patch of earth and Glory, Glory Hallelujah or *insert suitable antonym – Nobody Knows the Trouble I’ve Seen, perhaps – by visiting each of our three plants we have managed to put together our first rhubarb taste of the season. How do we like it? 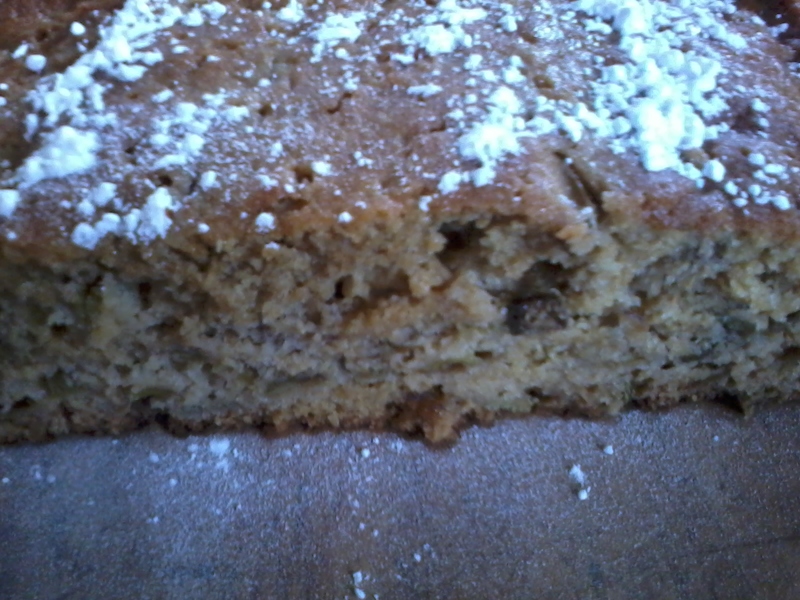 Add a little sugar, maybe some vanilla, perhaps some cinnamon, serve it hot, cold, stewed under a crumble, bubbling under a sponge topping, stirred into our breakfast porridge, with custard, with ice cream, with cream, dusted with icing sugar or slurp it up all on it’s own. For this first harvest, though, we’re going making a bit of a fuss. Don’t feel too bad for the HRH (Homestead Rhubarb Haters); there’s boysenberry ice cream in the freezer and everyone loves that. 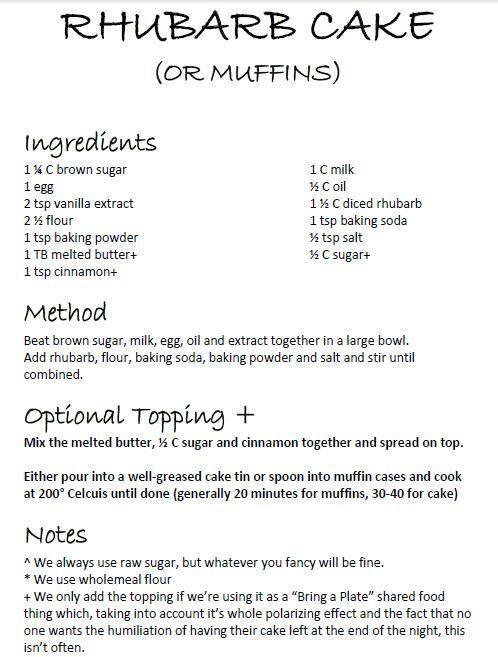 This entry was posted in Homestead Kitchen and tagged bake, baking, basic cake, cake, cake stall, cakes, cook, cooking, dessert, Food, foodies, homestead kitchen, kitchen, muffin, muffin recipe, recipe, recipes, rhubarb, rhubarb rhubarb, sweet, uses for rhubarb. Bookmark the permalink. My kids eat the ghastly stuff stewed with a little honey and custard or yoghurt but that rusty spoon sounds really good to me. I do try it on occasion but to me the idea of apple and rhubarb crumble is tantamount to treason against a perfectly harmless and regal apple crumble. 😉 Still, I’ve planted the stuff, growing from seed and root cutting from friends and I have bottles of it in the pantry too but yeah NAAA for me personally. I am a lover of rhubarb so wish you all the best with your plants and send sympathy to the family members who don’t know what they’re missing out on. Rhubarb crumble is the only way to go.